Revolt Of The Binary Couriers is a 2D turn based RPG with no real plot or narrative. 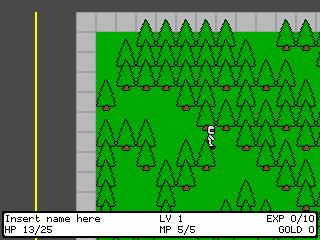 You play as a robot and fight random monsters, collect boxes and occasionally encounter NPCs. There is no goal just grinding. Its the sequel to Pineapple Apocalypse RPG (which never made it to GP2X).